Tesai, the youngest scholar of Avrix's small clan, had only wanted to walk the path of the Arcanist, as his father had taught him to. Never, in his most outlandish dreams, had he imagined he would end up in such a dire situation. Upon hearing Shadowsong's tale, and upon realizing what he must undertake, Tesai thought of two very peculiar dragons he had come across in his series of interviews. They had been nearby, yes, but there was something else that drew them so vividly to mind... It had to be, Tesai decided, the guidance of the Arcanist. Or perhaps, a more worldly part of him whispered, it was simply the effect of an uncanny resemblance between dragons of the same species, for the individual he thought of first was the nocturn called Elof. Elof was a wanderer, and had been near this very area when Tesai had spoken to him. Even for a nocturn, he had seemed odd and distant, if friendly and forthcoming, when the scholar had spoken to him. But perhaps, Tesai thought, the mere fact that he's a nocturn will grant him some insight. It seemed to give him some heightened memory of events from the previous year; he had given Tesai one of his most valuable and detailed accounts. But the companion he kept... Uncertainty seized Tesai when he recalled the nocturn's strange fellow. The spiral had kept mostly out of the conversation, hanging back or occasionally twining up over Elof's back to peer unnervingly as Tesai as the scholar asked his questions. Elof had seemed unphased, and Tesai, too, had tried to maintain his composure. But it was clear to him, frighteningly so, that the spiral called Maewynn was Shadetouched. And not just slightly--it was as though her spirit was steeped in the Shade until it was saturated, making the two beings almost indistinguishable. Still, Tesai thought, perhaps even the Shadetouched female would bring her own unique perspective to the situation. Despite her silence, she had appeared to be listening intently while Tesai and Elof spoke of the nocturns, though at the time Tesai had dismissed it as nothing more than animal-like curiosity. Tesai set off quickly in the direction he had last known the two strange wanderers to be. His stomach was still achingly empty, but that seemed less important than it had mere hours earlier. For now, Shadowsong's mission was the most important thing that existed in the world--indeed, there might not be a world if he failed. That thought was frightening, but exciting as well--perhaps the influence of the Arcanist, once again, Tesai thought with a tight grin. It didn't take long to find the nocturn Elof and his Shadetouched companion. Tesai found them, in the early morning, sharing a meal of bobwhite quail and blue cricket beside a small stream. Elof was chatting amicably about the weather; Maewynn was the one to spot the approaching pearlcatcher, and her head rose from her meal. "Come eat with us, Scholar." Tesai drew up short, even as Elof looked over his shoulder in surprise. The pearlcatcher shifted uneasily. "Come eat with us," Maewynn repeated patiently, though something in her Plague-red eyes told Tesai that he'd be better off to not refuse. Elof obligingly scooted over, making space for the pearlcatcher. "What can we do for you?" he asked, but Maewynn hissed quietly before Tesai could reply. "Let the child eat, Elof. He looks terribly drained." The spiral rested her head on the ground, eyes fixed upward on Tesai. soHide prickling, Tesai tried to gather his nerve. "I didn't come to eat with you. I came to find you two because I need your help." "You can't expect to save Sornieth when your stomach is hollow as an old bone, do you?" the spiral asked, her claws working at the ground beneath her. She grinned when Tesai gaped at her. "The Shade knows many things, so I know many things. This business of mimics and rogue Singers doesn't suit the Shade any more than it suits dragonkind, you know. I'll at least hear you out." Tesai glanced at Elof, who was nodding agreeably. "You two... you knew?" the pearlcatcher asked. Elof shook his head. "No." Maewynn snorted, even as Tesai echoed, "No?" "But we'll at least hear you out," Elof said helpfully. "Sounds fair, doesn't it?" Maewynn crooned, stretching her neck forward to snap up a cricket. Tesai watched as the small lump traveled down her throat, her tail twitching with satisfaction. "You look pale," Elof said. "Eat up, if you'd like. There's plenty here." Though suddenly feeling rather queasy, Tesai bent his head and obeyed. After choking down a few of the crickets, he became aware, once again, of Maewynn's eyes fixed on him. "So... the Shade told you? About Shadowsong and Thana?" "Kind of," the spiral replied, but didn't elaborate. Tesai looked to Elof for some sort of explanation, but the nocturn only shrugged. "I don't know how she knows what she knows. And she didn't tell me anything about this, before you showed up just now." "If we help you," Maewynn began, tail twitching in the dust as if with a life of its own, "I want you to promise me something." "What?" Tesai asked, feeling as though an insect leg was caught in his throat. "I want one of the hatchlings. Doesn't matter which one." Maewynn's twitching became wilder, for a moment, and seemed to consume her whole body. Then she settled, again, to near stillness. "You can tell Shadowsong it died, or it ran away, I don't care. But I want one of the little Singers." Tesai felt a thrill of horror ravel from the tip of his muzzle to his tail. He looked over at Elof, who was watching calmly. "What do you want a hatchling for, Mae?" "I don't," the spiral said. "The Shade does. I don't know why." Tesai stood, nearly tripping in his haste. "I-I think... I don't... I mean, thank you for hearing my request, but I can't--"
"Now hold on," Elof said, standing to match the pearlcatcher. He was larger than Tesai by a margin, but Tesai fancied himself quicker--wondered if this nocturn would attack him, either by his own initiative or on Maewynn's command. "This is a serious thing, right? To do with the mimics?" "Sornieth will be destroyed, if Thana isn't stopped..." Tesai whispered, with an uncertain glance at Maewynn. The spiral hadn't risen. "We'll help," Elof said. He had pulled his mask down, and had an honest look about him. "I'm not sure about fighting, but if there are hatchlings in danger..." He glanced over at Maewynn. "Don't you have any idea what the Shade would want with one of the hatchlings?" Maewynn shrugged narrow shoulders. "My best guess is that it feels threatened by Thana and the mimics. The Shade rather likes being the most terrifying thing in Sornieth. It may want a Singer hatchling as... insurance. If it could touch a Singer hatchling, it would have as much power to fight the mimics as Shadowsong and her group." "The Shade wouldn't want to defend Sornieth, though," Tesai said. "Who's to say how it would use the power of a Singer?" Maewynn fixed him with a baleful glare. "Little Scholar, if the Shade wanted Sornieth destroyed, you would never have been born. I wouldn't be wandering about like a nomad, but leading an army against your gods. If the Shade wanted Sornieth destroyed, it already would be." Tesai shuddered, then glanced at Elof. The nocturn seemed unbothered by the rhetoric. Elof shrugged heavy shoulders. For a moment, Tesai thought he saw the stripes on the nocturn's legs squirm. He said, quietly, "Yes. I agree." Tesai took a step backwards. A cry to the Arcanist crawled up his throat--the desire to wail his devotion to his god in the face of these Shadetouched creatures. But a weight struck his back before he could speak, and the breath was knocked from his lungs as he hit the dusty ground. [url=http://flightrising.com/main.php?dragon=30551006] [img]http://flightrising.com/rendern/350/305511/30551006_350.png[/img] [/url] Trask, though a plague dragon and a foreigner to the lightning flight lands is the scholar of the Archenitesky Clan. 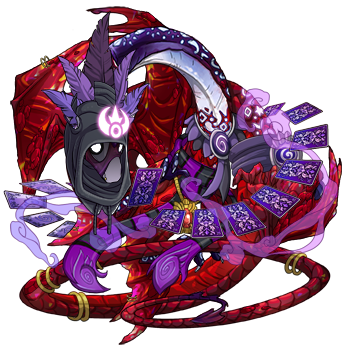 He has currently two assistants... [url=http://flightrising.com/main.php?dragon=30461456] [img]http://flightrising.com/rendern/350/304615/30461456_350.png[/img] [/url] Kajinka, who acts more like an intern then assistant. 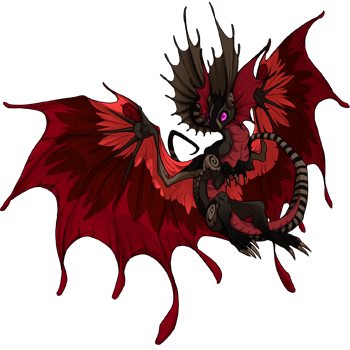 [url=http://flightrising.com/main.php?dragon=32602682] [img]http://flightrising.com/rendern/350/326027/32602682_350.png[/img] [/url] And his loyal assistant Topaz. Trask, though a plague dragon and a foreigner to the lightning flight lands is the scholar of the Archenitesky Clan. Kajinka, who acts more like an intern then assistant. And his loyal assistant Topaz. 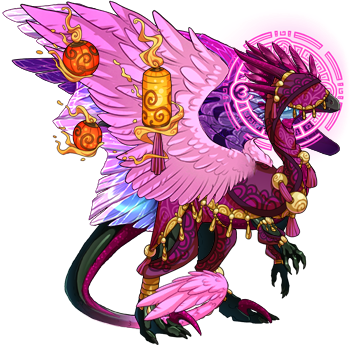 [url=http://flightrising.com/main.php?dragon=31564903] [img]http://flightrising.com/rendern/350/315650/31564903_350.png[/img] [/url] Alenia's definitely my scholar~! A seer and a local Alchemist (the head alchemist of the clan, actually), she's always been one to mix magic and science together, and she's always on the hunt for new types of magic. 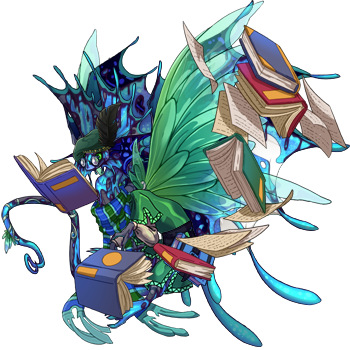 Yes, she'd publish her findings for other Arcane dragons of the Observatory, but she'd only care about the other alchemical enthusiasts. It'd be just like her to randomly find this flower on a whim based off of stray memories, and she can't stand the idea of leaving some thread of knowledge untied. She'd definitely chase it down. 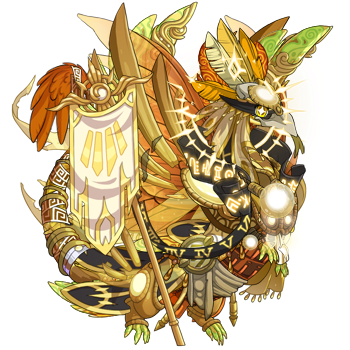 [url=http://flightrising.com/main.php?dragon=37023760] [img]http://flightrising.com/rendern/350/370238/37023760_350.png[/img] [/url] Aiden would be her first ally. As a dragon reborn, he'd have some memories of his past, and through them could very well have found a minor loophole on this mysterious Nocturne clan. It helps that he's Alenia's apprentice and a fellow lover of Alchemy. He'd have found her research long before she shared it, then just piped up with "True Nocturnes sound familiar to me. Why in the eleven does the word Singer come up in this?" She'd never let him go then. 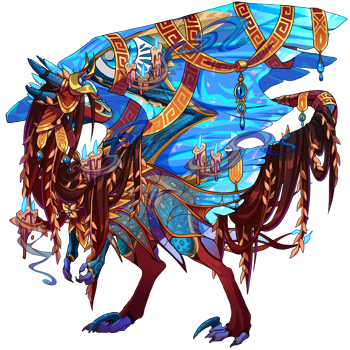 [url=http://flightrising.com/main.php?dragon=18905705] [img]http://flightrising.com/rendern/350/189058/18905705_350.png[/img] [/url] Mayonakahoshi, or Mayo for short, would be her second ally. He was turned to stone in an old shrine located deep within the Foxfire Bramble. After that, he decided that he couldn't return home, and spent a lot of his time in that very shrine, trying to figure out more about what happened to him. It wouldn't be too surprising to find some trace of the "True Nocturnes" nearby, likely by finding a stray flower growing in the shrine and wondering why it looked familiar, or perhaps a story found deep in the shrine that sounded familiar, though he didn't know why. His questioning likely found its way down the clan's grapevine after he arrived in his current home, and Alenia definitely would've heard about it. He'd definitely be on board with this. Story to be added later. Alenia's definitely my scholar~! A seer and a local Alchemist (the head alchemist of the clan, actually), she's always been one to mix magic and science together, and she's always on the hunt for new types of magic. Yes, she'd publish her findings for other Arcane dragons of the Observatory, but she'd only care about the other alchemical enthusiasts. It'd be just like her to randomly find this flower on a whim based off of stray memories, and she can't stand the idea of leaving some thread of knowledge untied. She'd definitely chase it down. Aiden would be her first ally. As a dragon reborn, he'd have some memories of his past, and through them could very well have found a minor loophole on this mysterious Nocturne clan. It helps that he's Alenia's apprentice and a fellow lover of Alchemy. He'd have found her research long before she shared it, then just piped up with "True Nocturnes sound familiar to me. Why in the eleven does the word Singer come up in this?" She'd never let him go then. Mayonakahoshi, or Mayo for short, would be her second ally. He was turned to stone in an old shrine located deep within the Foxfire Bramble. After that, he decided that he couldn't return home, and spent a lot of his time in that very shrine, trying to figure out more about what happened to him. It wouldn't be too surprising to find some trace of the "True Nocturnes" nearby, likely by finding a stray flower growing in the shrine and wondering why it looked familiar, or perhaps a story found deep in the shrine that sounded familiar, though he didn't know why. His questioning likely found its way down the clan's grapevine after he arrived in his current home, and Alenia definitely would've heard about it. He'd definitely be on board with this. Story to be added later. lil leader of the clan and his allies! [center]The scholar [b]Oskar[/b] looked to Shadow song and nods his head. "[i]I know of two dragons who would ally with me in this quest. I will send word to the right awayIand shall return to the place soon. Please be safe until I do. I promise I will save the singer hatchlings. [/i]" Oskar takes his leave quickly, returning to the Observatory. Entering his study, grabs two rolls of parchment and places them on his desk. With quill in talon his quickly scribbles down to letters. He them walks to his window, where two Hulking Greatowls perched. "[i]Be fast my friends, find these dragons and return with them. [/i]" The two owls took flight and disappeared into the dark night. 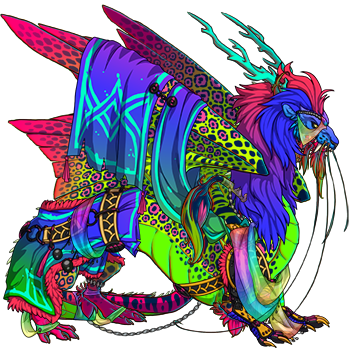 [/center] [center][url=http://flightrising.com/main.php?dragon=37260029] [img]http://flightrising.com/rendern/350/372601/37260029_350.png[/img] [/url][/center] ------------------------------------------------ [center]A wildclaw warrior, [b]Mykia[/b] stood along the face of a cliff, running her talons along the surface sharpening them. She was a member of the Nirvana clan. The bitter cold air of the Southern Ice fields sent shivers down her. How she wished to be back in the warmth of her lair, her mate at her side. But it was her turn for the night watch. Her shift partner, a dark furred tundra named Cassiopeia, paced the boarder of their clan territory. She was far better suited for this cold job then Mykia. Beast Clan had been overly active along the edge of the boarder, so the clan was on high alert. A sound of rustling wings brought, the wildclaw warrior out of her thoughts. She looked up to see two hulking greatowls flight towards her. She quickly went on guard. The flash of paper caught her eye and she let her guard down. The owls landed on larger rock sitting beside her, both then preceded to hold out their rolls of parchment. "[i]Whats this? [/i]" She opened one the letters, this one addressed to her. "[i]Oskar calls for me?" She calls to the tundra. "Cassiopeia, I will go to him, as clan members we are to help each other in their time of need no matter where in Sornieth. [/i] "[i]I will inform Exino, go now, i can handle the watch on my own. [/i]" Cassiopeia replied. Mykia then opened the seconded and read it quickly. "[i]Dear owls, the dragon you seek to deliver this to is currently exploring the Shrieking Wilds. He shall not return this clan for a many moons. Go there if you wish to find him. [/i]" She gave the letter back to one of the owls. It then flew off into the night. The other screeched at Mykia to indicated her to follow. With that Mykia set off for Starfall Isles. 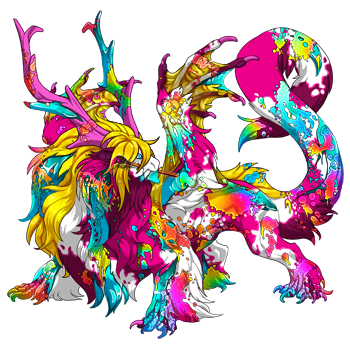 [/center] [center][url=http://flightrising.com/main.php?dragon=26745594] [img]http://flightrising.com/rendern/350/267456/26745594_350.png[/img] [/url][/center] ------------------------------- [center][b]Capheus[/b],a Nirvana Clan warrior, moved silently throw the undergrowth of the Shrieking Wilds. He is an advent explore in his free time and had come to The Viridian Labyrinth for a little adventure. It is far more comfortable temperature wises then at home in the ice fields. Though the insects could go away. His bright green and pink spotted body was quiet suited for tis place, he could blend in easily. But he did not blend in well enough for the greatowl that came swooping down out the trees, nearly catching his eyes with its talons. "[i]Watch it bird, before i roast you alive. "[/i] he growled at the owl, who perched just above him. It screeched at him and dropped its cargo at his feet. "[i]Oh a messenger owl. Who so badly needs to talk to me? [/i]" she picked up the letter and quickly reads it "[i]A dangerous quest to save two Singer Nocturne hatchlings? With Oskar? I'm not sure how useful that fledgling feather brain will be in a fight, but i guess i can help. Meeting the lost nocturnes makes it worth it. I guess you are my guide to the meeting place of this quest? [/i]" He says to the owl. "[i]Then lead on[/i]" The Owl and Capheus then take to the skies, to head to where Oskar awaits them. 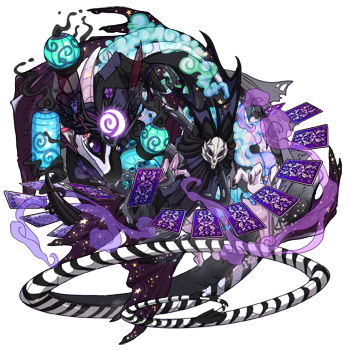 [/center] [center][url=http://flightrising.com/main.php?dragon=34492988] [img]http://flightrising.com/rendern/350/344930/34492988_350.png[/img] [/url][/center] -------------------------------------------- [center]Oskar watched the skies patiently for his allies, fellow clan mates, to arrive. Capheus arrived first, followed a few hours later by Mykia. The three greeted each other and then Oskar quickly lead them in to the Foxfire Bramble. There he lead them to where Shadowsong laid waiting. "[i]Shadowsong, i have returned with my allies. This Mykia and Capheus, warriors of my clan, and fellow believers of your forgotten race. [/i]" Oskar said to her as the other two stepped in to sight. "[i]Thank you for agreeing to aid this brave scholar in my place. [/i]" Shadowsong replied weakly. "[i]Please find my sister and save those to hatchlings. And maybe if there is even a smaller glimmer of hope, save Thana too. [/i]" "[i]We will not fail, I promise you. 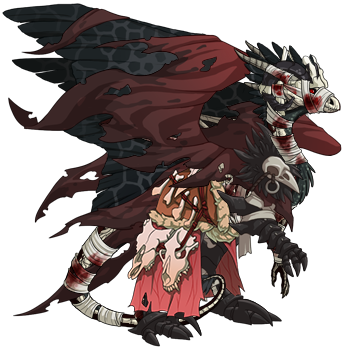 [/i]" Mykia bowed to the injured Nocturne. Capheus smiled at her, "[i]And we'll bring your sister back too, either by her own free will, or in ropes. He choice, I'm fine with either option. 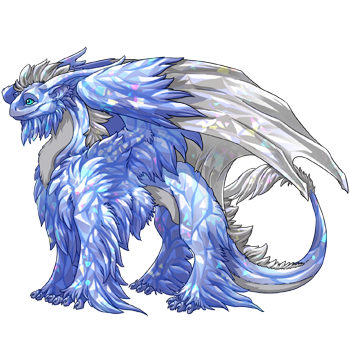 [/i] Shadowsong snorted at him "[i]Please hurry, i fear Voidsong and Nightsong are in grave danger[/i]" The trio of dragons say goodbye to Shadowsong, and head off in search of Thana and the hatchlings. They traveled deep into the Foxfire Brambles, when noise caught their attention. A shadow jumped out in front of them, blocking their path. "[i]Move. [/i]" Capheus growled "[i]I will end you. [/i]" The shadow moved closer, reveling its face. A statue. "[i]An impostor, we are closes[/i]." Oskar said backing away a bit. Mykia moved towards the creature. "[i]i'll take care of it[/i]." she growled. She sprang back talons spread out. Her teeth and talons latched on and she ripped it apart as it screamed a hellish cry. "[i]Lets keep going. [/i]" Capheus glanced around on full alert as he continued on their path. "[i]I hear voices up a head[/i]" He whispered as the crouched behind a large plant. Before them was a clearing, and moving around it was an assortment of mimics and other imposing monsters. And in them middle of them all was a very imposing red Nocturne. Her voice carried through the clearing as she spoke to the monsters before her. [/center] NOT DONE. WILL FINISH SOON. The scholar Oskar looked to Shadow song and nods his head. "I know of two dragons who would ally with me in this quest. I will send word to the right awayIand shall return to the place soon. Please be safe until I do. I promise I will save the singer hatchlings. " Oskar takes his leave quickly, returning to the Observatory. Entering his study, grabs two rolls of parchment and places them on his desk. With quill in talon his quickly scribbles down to letters. He them walks to his window, where two Hulking Greatowls perched. "Be fast my friends, find these dragons and return with them." The two owls took flight and disappeared into the dark night. A wildclaw warrior, Mykia stood along the face of a cliff, running her talons along the surface sharpening them. She was a member of the Nirvana clan. The bitter cold air of the Southern Ice fields sent shivers down her. How she wished to be back in the warmth of her lair, her mate at her side. But it was her turn for the night watch. Her shift partner, a dark furred tundra named Cassiopeia, paced the boarder of their clan territory. She was far better suited for this cold job then Mykia. Beast Clan had been overly active along the edge of the boarder, so the clan was on high alert. A sound of rustling wings brought, the wildclaw warrior out of her thoughts. She looked up to see two hulking greatowls flight towards her. She quickly went on guard. The flash of paper caught her eye and she let her guard down. The owls landed on larger rock sitting beside her, both then preceded to hold out their rolls of parchment. "Whats this?" She opened one the letters, this one addressed to her. "Oskar calls for me?" She calls to the tundra. "Cassiopeia, I will go to him, as clan members we are to help each other in their time of need no matter where in Sornieth. "I will inform Exino, go now, i can handle the watch on my own." Cassiopeia replied. Mykia then opened the seconded and read it quickly. "Dear owls, the dragon you seek to deliver this to is currently exploring the Shrieking Wilds. He shall not return this clan for a many moons. Go there if you wish to find him." She gave the letter back to one of the owls. It then flew off into the night. The other screeched at Mykia to indicated her to follow. With that Mykia set off for Starfall Isles. Capheus,a Nirvana Clan warrior, moved silently throw the undergrowth of the Shrieking Wilds. He is an advent explore in his free time and had come to The Viridian Labyrinth for a little adventure. It is far more comfortable temperature wises then at home in the ice fields. Though the insects could go away. His bright green and pink spotted body was quiet suited for tis place, he could blend in easily. But he did not blend in well enough for the greatowl that came swooping down out the trees, nearly catching his eyes with its talons. "Watch it bird, before i roast you alive." he growled at the owl, who perched just above him. It screeched at him and dropped its cargo at his feet. "Oh a messenger owl. Who so badly needs to talk to me?" she picked up the letter and quickly reads it "A dangerous quest to save two Singer Nocturne hatchlings? With Oskar? I'm not sure how useful that fledgling feather brain will be in a fight, but i guess i can help. Meeting the lost nocturnes makes it worth it. I guess you are my guide to the meeting place of this quest?" He says to the owl. "Then lead on"
The Owl and Capheus then take to the skies, to head to where Oskar awaits them. Oskar watched the skies patiently for his allies, fellow clan mates, to arrive. Capheus arrived first, followed a few hours later by Mykia. The three greeted each other and then Oskar quickly lead them in to the Foxfire Bramble. There he lead them to where Shadowsong laid waiting. "Shadowsong, i have returned with my allies. This Mykia and Capheus, warriors of my clan, and fellow believers of your forgotten race." Oskar said to her as the other two stepped in to sight. "Thank you for agreeing to aid this brave scholar in my place." Shadowsong replied weakly. "Please find my sister and save those to hatchlings. And maybe if there is even a smaller glimmer of hope, save Thana too." "We will not fail, I promise you." Mykia bowed to the injured Nocturne. or in ropes. He choice, I'm fine with either option. Shadowsong snorted at him "Please hurry, i fear Voidsong and Nightsong are in grave danger"
The trio of dragons say goodbye to Shadowsong, and head off in search of Thana and the hatchlings. They traveled deep into the Foxfire Brambles, when noise caught their attention. A shadow jumped out in front of them, blocking their path. "Move." Capheus growled "I will end you." The shadow moved closer, reveling its face. A statue. "An impostor, we are closes." Oskar said backing away a bit. Mykia moved towards the creature. "i'll take care of it." she growled. She sprang back talons spread out. Her teeth and talons latched on and she ripped it apart as it screamed a hellish cry. "Lets keep going." Capheus glanced around on full alert as he continued on their path. "I hear voices up a head" He whispered as the crouched behind a large plant. Before them was a clearing, and moving around it was an assortment of mimics and other imposing monsters. And in them middle of them all was a very imposing red Nocturne. Her voice carried through the clearing as she spoke to the monsters before her. NOT DONE. WILL FINISH SOON. Horatio's curiosity is peaked by the legends of the Nocturne clan, and his studies lead him to Shadowsong. He accepts her plea for help, but knows he'll need protection. Starsong immediately offers her help to Horatio. The Shadow mage specializes in illusionary magic and will do all she can to keep the Fae safe in unfamiliar territory and is ready to help the young Singers when they are found. Once again it seems Jania has gotten mixed up in these weird Nocturne messes! As if last year wasn't enough. At least now she has actual training for the job, as she's the clan's resident anti-infiltration specialist. If there is one dragon in the clan who has the mind to unravel this tangle, it's Sardior. He's always been an arcane trickster by nature, now he's looking for a chance to shine. Putting his wits to test against a mimic clan seemed the perfect opportunity. Maybe now his home clan (so brash, so forward) will acknowledge the value of more subtle action. Sardior did not need to be convinced to join the troupe, he volunteered. Sometimes you need something shiny to take everyone's attention away from the shadows (and the brains of the operation). Bamon, it happens, is extraordinarily shiny. It doesn't hurt that he's the Lightest Light dragon ever to Light, and has enough truth mojo to blast through an entire clan of mimics if need be. I'm not entirely sure how, but these three will most definitely succeed in confronting Thana and rescuing the hatchlings. They have Jania for specialised anti-mimicry effects, Sardior for outsmarting the enemy, and Bamon for putting any tricksy-types into corner and telling them to sit. The whole effort will no doubt be a comedy of errors, but these guys are still very, very good at what they do.